It's actually book three of Narnia, the pre-Chandlerized "Dawn Treader." It was the third book published, but C.S. Lewis considered it the fifth volume. He thought of Narnia in order of chronology, with the Magician's Nephew and A Horse and his Boy being books 1 and 2, respectively. I am so excited now that I know there is a sequel coming out. 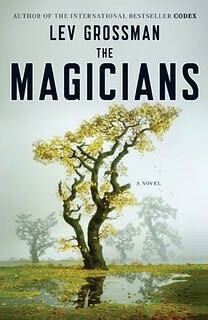 When I first read the Magicians, I loved the whole read but was sorely disappointed by the incomplete-feeling ending. Now that there is a sequel forthcoming, I am full of love for the book all over again. I CAN NOT WAIT UNTIL I CAN BUY THE NEXT BOOK, I LOVED , LOVED THE MAGICAN... I WAS HOPING THE NEXT BOOK WOULD BE OUT FOR SUMMER... UGHHH THIS WAITING ... IS TORTURE!! !